My Sweet Haven: I Think I'm Pregnant! Are you looking for genuine parts? Is it even worth the risk? Doctor's visit and eyeing for my first vehicle. Maintenance care of the family van. I couldn't be positively sure because we haven't gone to the doctor yet for a confirmation but I think I am pregnant. I've been feeling hell lately, lol! I don't usually take naps in the afternoon but for the past week, I can't bring myself to stay up all day. I've been feeling nauseous. I get hungry all the time. I have headaches almost every day for past few days. I've missed a period. My breasts feel so sore, tender and swollen but it could also be a sign of impending menstruation, right? So even if I'd like to think I'm pregnant, this might just be a delayed period. However, the changes in my body that I've been experiencing lately seemed hard to ignore so we bought some home pregnancy test kits. EPT says when you get a (+) sign on the round window, it is positive. (-) horizontal sign on the other hand means negative. I tried it three times on different days and it looked like a faint (+) sign to me, don't you think? So I think it's positive. Hmmm, am I really pregnant? I've read that sometimes these kits tend to give false positive results that's why I'm still having second thoughts about everything. I wish it's that easy to see a doctor for a confirmation. I tried to call an OB Gyne's office today for an appointment but I only get an answering machine. Are they really that busy? I'll try again tomorrow and probably just leave a message and see if they'll get back with me. Oh boy, am I excited! Haha! Jeff and I were ecstatic and we started thinking about baby names, already, haha! But I don't want to keep my hopes up and be told by the doctor that I'm not actually pregnant. If I'm not pregnant, I may have been just having some serious medical condition to feel this ill as of late. But I'm really hoping that I'm pregnant. Dear God, just let me be pregnant! Gosh, I wish I could get some accurate blood test right away to verify everything. Congratulations....I'm so elated for you. You're def preggy coz of the EPT positive and the various changes in your body and moods. wow! congrats Jenn..I think you are positive!!! LOL...Jenn, my dear, I think YOU ARE PREGNANT. Those tests are usually pretty accurate, and I think that the doc will just confirm it once you're in for your first visit. OMG, I'm SOOOOOO excited for you & Jeff. yehe!!! 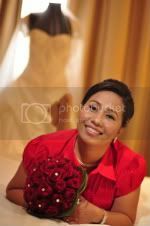 naqka buo gyud diay,hehehehhe.. Congratulations jenn and jeff... So happy for you guys. Jenn you are really pregnant even though faint ra ang line, hala na excited pud ko g apil,heheheh... I hope you can get an appointment right away for an OB. I hope they won't be needing a referral from your family physician before they will see you. But you can always go to your family doctor for blood test to confirm your pregnancy but im 99.9 % sure you are. Oh my God! Congratulations to you!! So excited for you Jenn. oh my god! congratulations. I'm so happy for both of you. take care. hi jenn....congrats! i'm so happy for you. wow ! congratulations ! it is a very special gift from GOD. Take care of yourself and get enough rest..
Jen Congrats! u are! happy for both of you! Jen a small advice take prenatal vitamins right away or folic and vitamin B12 ..very important in first 7 weeks! Take care and God bless! Whoa!!! I am so late Jenn! Anyhow, my congratulations isn't thaT late yet! So happy and thrilled for you! I felt the same with my pregnancy before, so that must be positive! Verym very positive Jenn so congratulations to you and Jeff! Yehey!!!! Jenn!!! Are you really pregnant? Let me know the results ha hehehe. I am excited for you. They said, if you tried pregnancy test for the 3rd time, you are really pregnant but of course, we still want to hear about the doctor's result. Have fun Jenn! I am happy for you! You really are pregnant. Yey! Congrats! OMG this is so exciting!!! I really hope that you are pregnant too! Wow, jenn... you are indeed! gosh, congrats... Kaayo! wow, that's really great news! I'm so happy for both of you! you're invited to a BLOG PARTY! congrats, according to the description about your body changes, you are pregnant... sana nga...exciting, isn't it? Naulihi jud ko sa balita duh! I am so very excited for you! Can't wait to read your pregnancy experiences and the baby to come out very soon!!!! congrats Jenn! i'm so happy for you. having a baby is such a wonderful experience. i wish the best for you. i wish you goodluck and if you are congrats!take care. Yes you are.... I used the same test couple of years back and the result was kinda the same... a dark vertical line and a faded and very very light horizontal line on top [or was it under] of the darker line. And yes, I was like your present predicament... in doubt... not sure... hopeful... prayerful... and yes, it was indeed positive... but then... sad... I lost the baby after a couple of weeks. I will pray that you will have a healthy pregnancy. Take it easy. wow congrats jenn! it's a blessing from God! for me its' confirmed already! God Bless! ayay! nganong uwahi naman ko dire sa pila...sos tawon..hinay na kaau ko ug tuhod...uwahi nuon ko sa balita...ehehehe! Wow!! What a great news! Congrats!! Wag magpapagod at lagi magpapahinga. Wow!! What great news!! Im so happy for you! Are you going to be keeping a scrapbook after your baby is born?